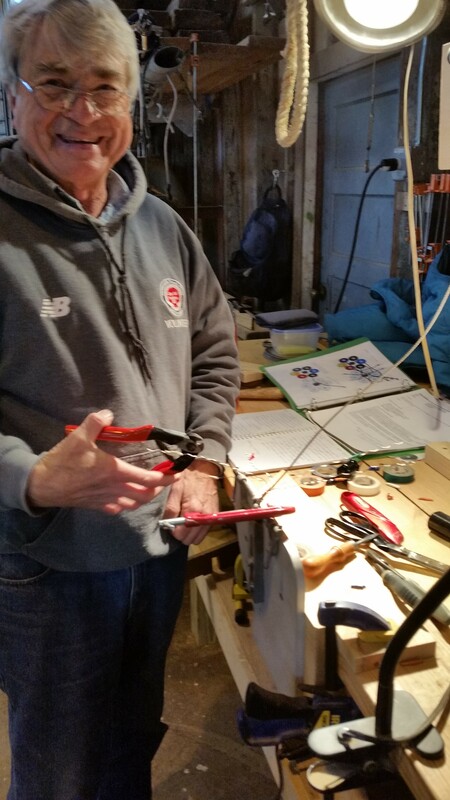 Here we show Herb enjoying his craft, perhaps too much. 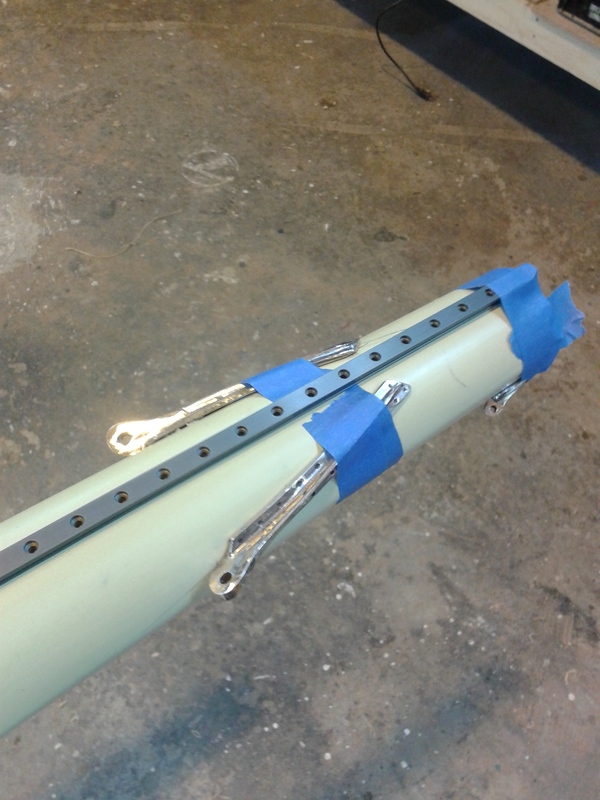 A happy splicer is a happy rigger! 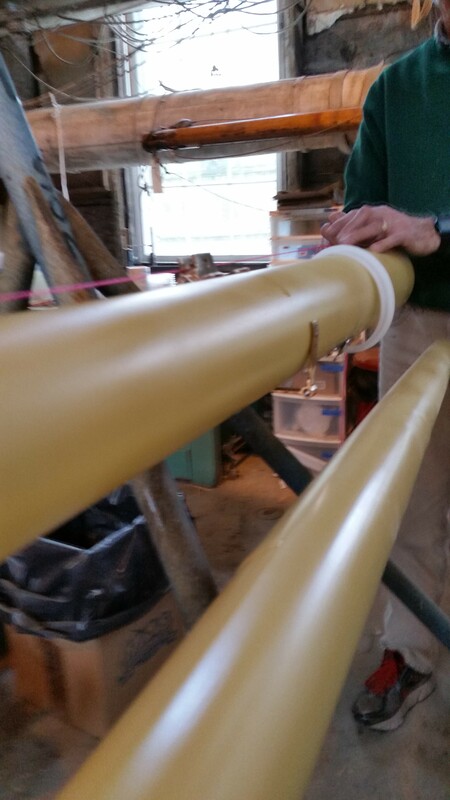 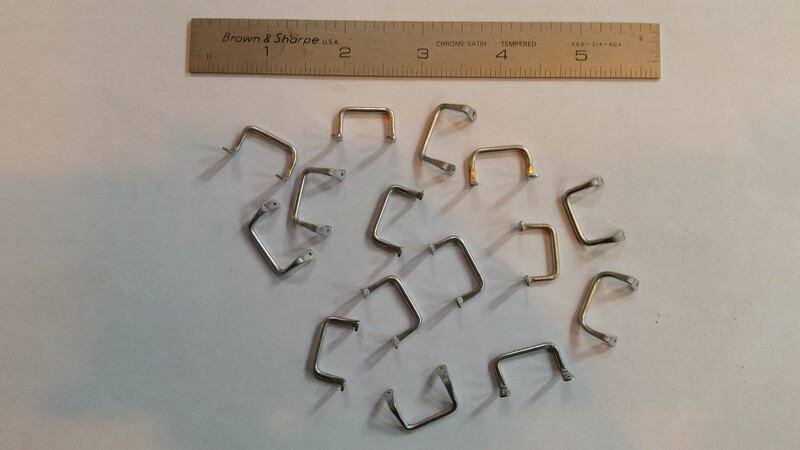 We have 48′ of brass deck railing to shape. 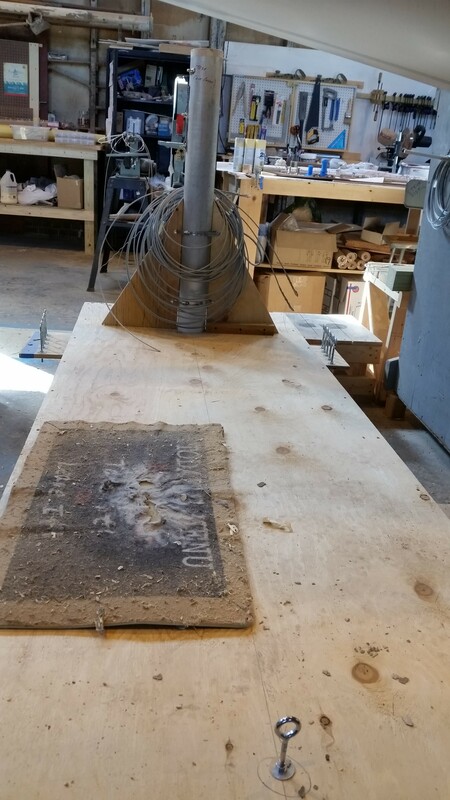 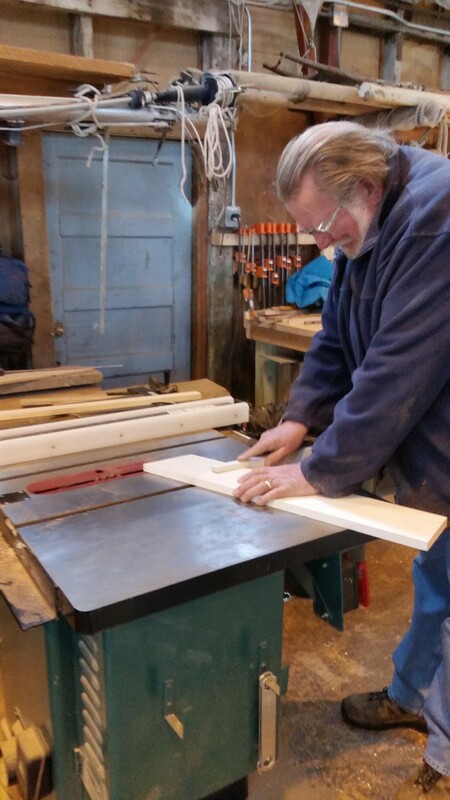 Bill believes he can accomplish this using the table saw and has been busy trying out a number of creative jigs and fixtures. 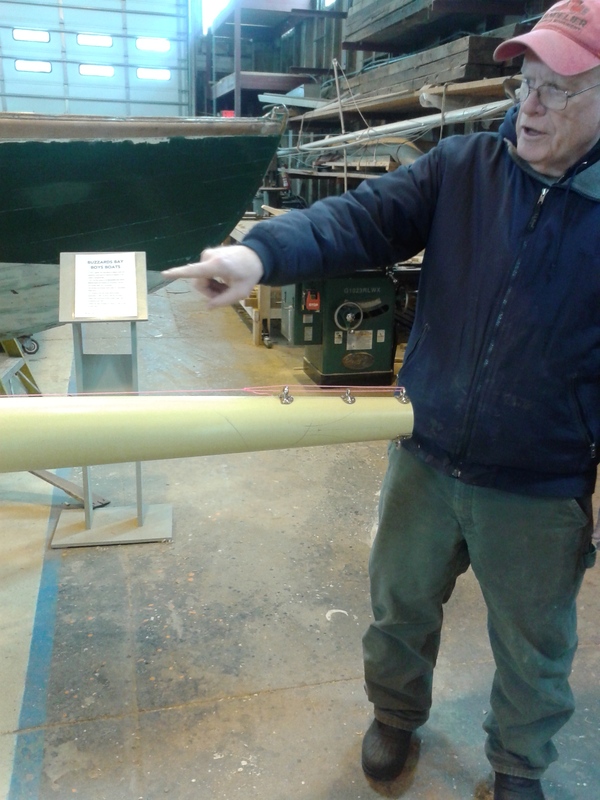 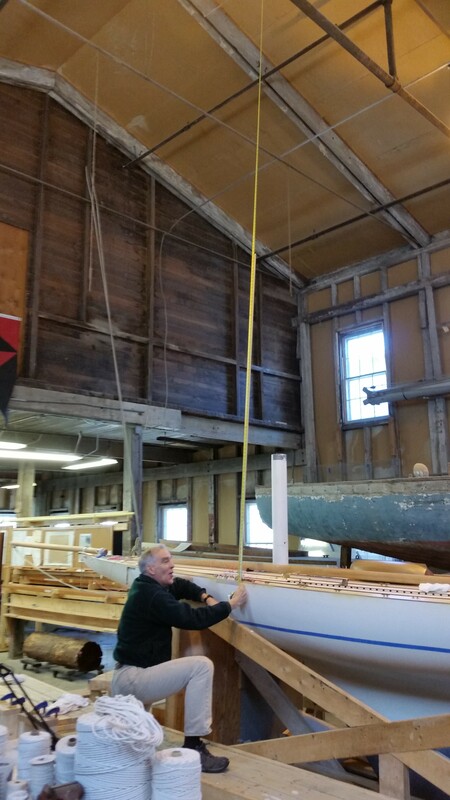 Lastly, we have Keith making sure that the mast collar will fit over the mast truss chainplate. 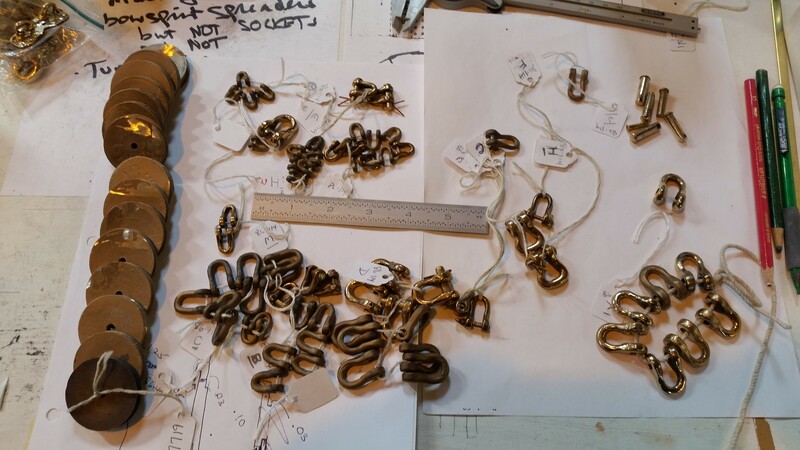 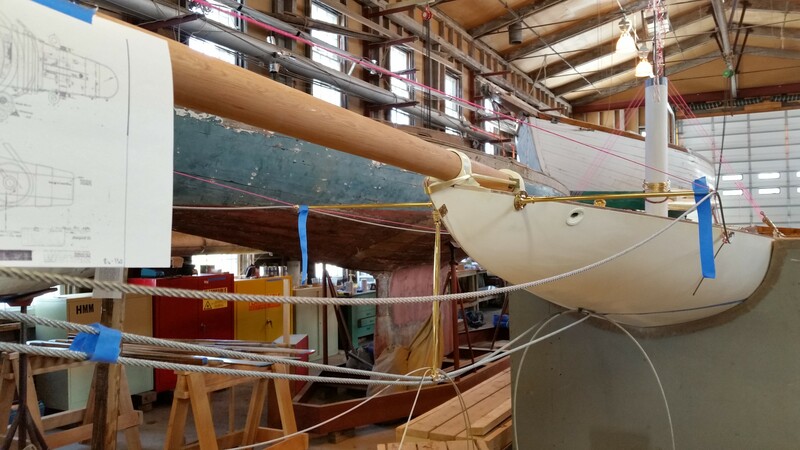 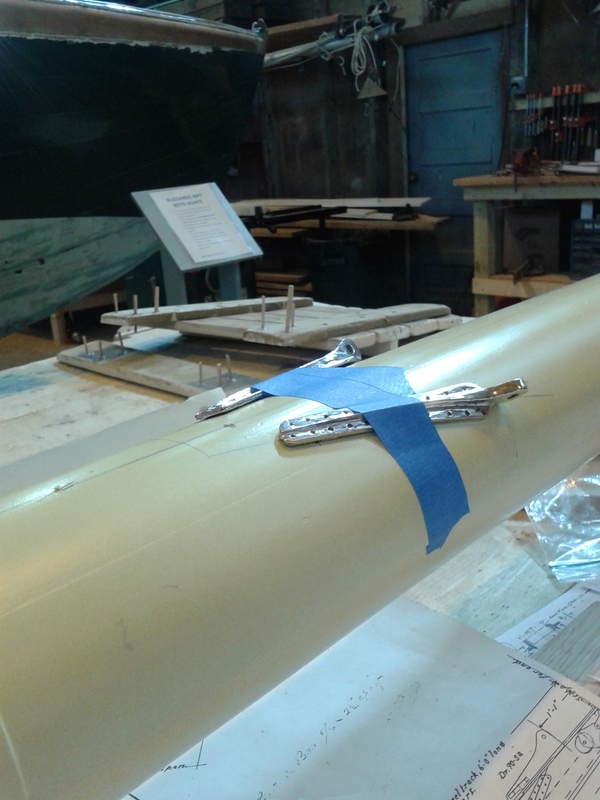 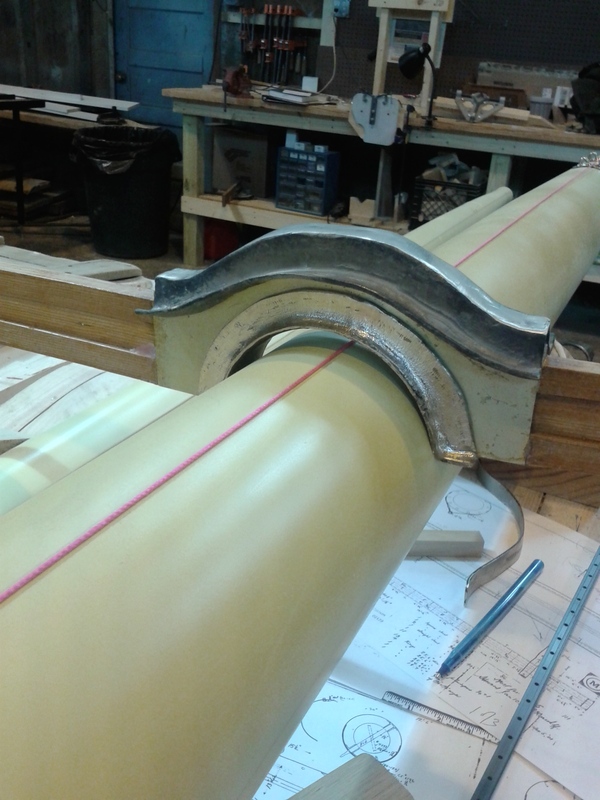 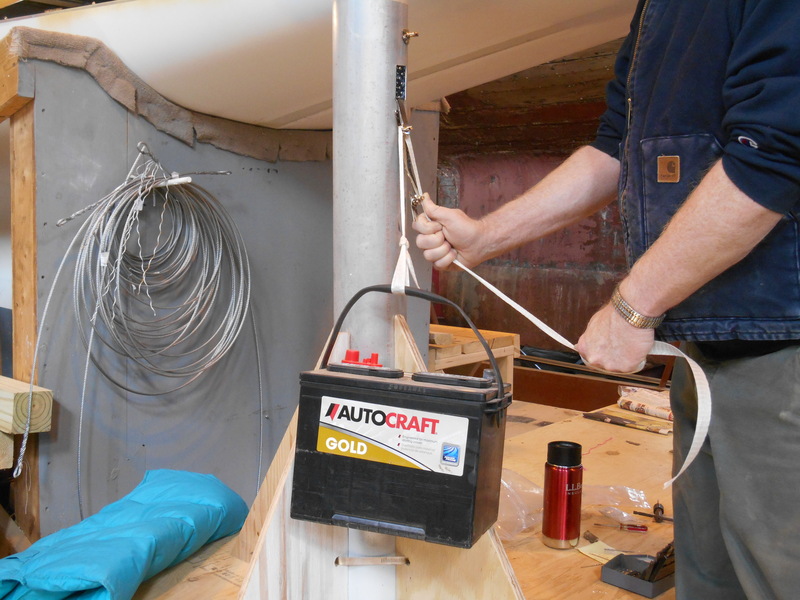 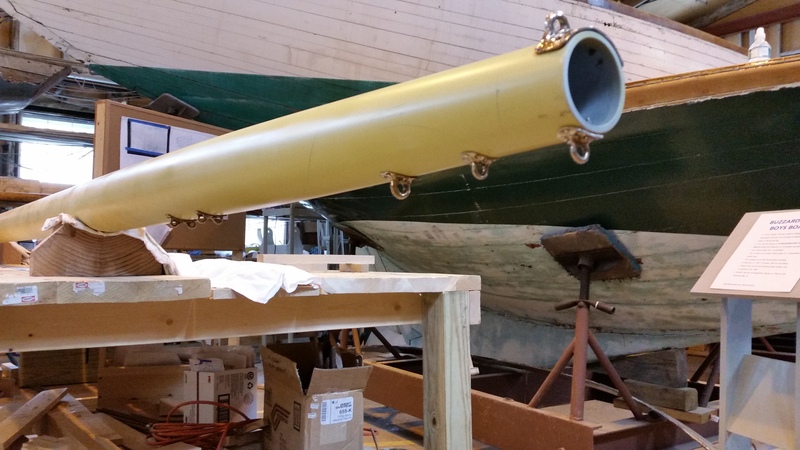 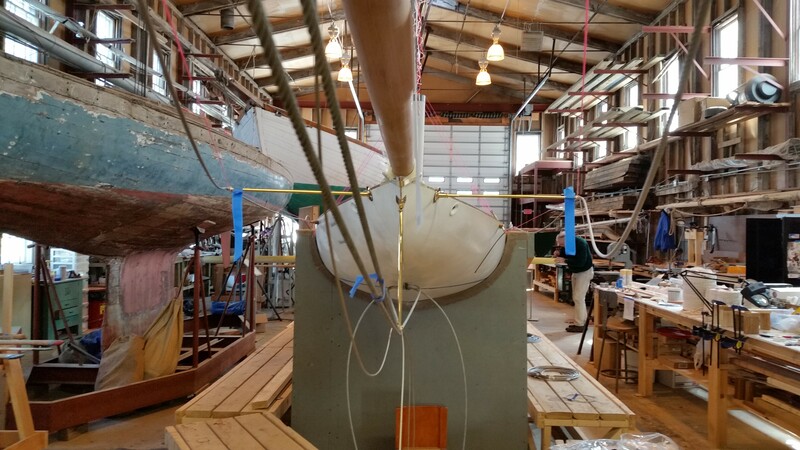 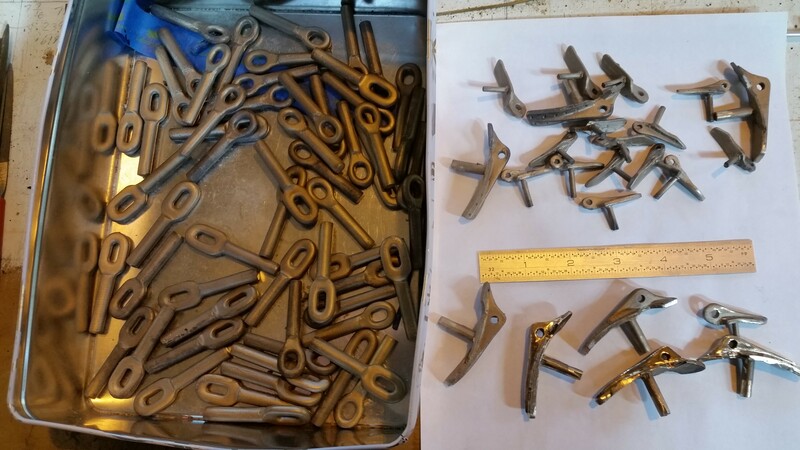 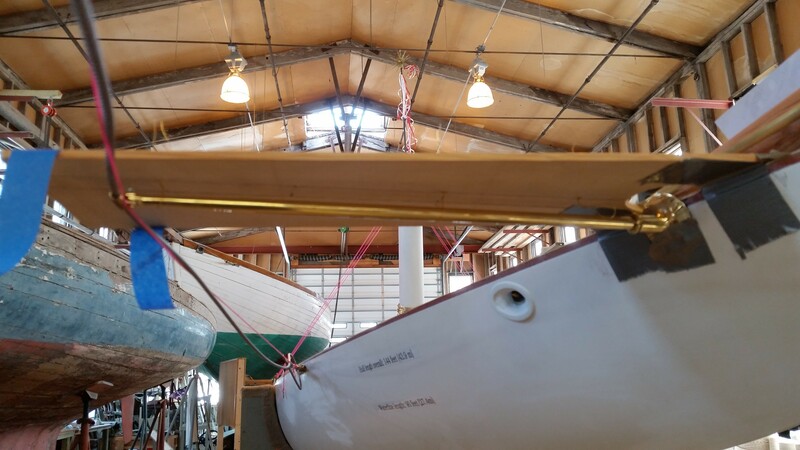 This entry was posted in Project Manager's Welcome and tagged brass, chain plates, deck, Herreshoff, Herreshoff Marine Museum, Keith Bradley, mast, railing, RELIANCE, Reliance Model, RELIANCE Project, rigging, splicing, truss on March 29, 2015 by Herreshoff Marine Museum/America's Cup Hall of Fame.